In the past six years, American adults have more than doubled the amount of digital video they watch, from an average of just 20 minutes a day in 2011 to well over an hour in 2015. By 2019, video is expected to account for 85 percent of all internet traffic in the U.S., with mobile devices increasingly used to stream content. Sound impressive? It should. Video-streaming technology has given the average consumer far more power over their own entertainment and education than ever before. Rather than being at the behest of television networks, we can now pick and choose what we watch, when we watch it, and (crucially) how we watch it. More and more businesses are seizing the opportunity to connect with their customers (both existing and prospective) through video. Not only can you use it as a means of communication and brand reinforcement, you can also generate significant revenue. Video is a terrific way for businesses of all sizes to engage with customers, from international giants to small startups. Not only can you inform and educate viewers in a more personal, direct way than through text, it also requires less effort on the viewers part. Rather than wading through blocks of dense copy on your website, customers can simply sit back and absorb the information instead. Sixty percent of people would rather watch a video than read, while video keeps visitors on your site for a longer period of time. Video can also be as dynamic as you like, and employ various storytelling techniques, including visuals, graphics, animations, audio narration, split-screen (for showing multiple videos at the same time), and more. You can pack far, far more into a two-minute video than you can in a lengthy article – and your customers are more likely to watch it. Of course, selling videos online is a challenge when so many free ones are available on YouTube, but it can be done. You should have a mission in mind for every video you produce. However, before you can set a specific goal, you have to know which demographic you’re actually aiming for. Depending on your business, and your industry, you may have different types of customers. For example, if you manufacture tablets, you’ll cover a broad demographic, from college students and parents of young children to senior citizens. In this case, you could create videos on using tablets to research studies, setting-up safety features on your child’s tablet, or connecting with relatives across the globe. 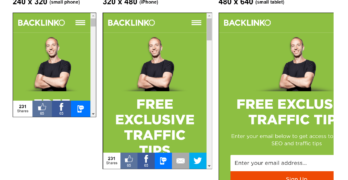 These are just two examples, but they show how a firm grasp of your company’s customer-base can make sure you appeal to as many viewers as possible. For example, a business selling luxurious products or services is likely to have a wealthier customer-base. Paying for an annual subscription to all of your upcoming videos may be less of an imposition to such people. On the other hand, for companies catering to a broader range of people, a flexible payment model is crucial: you don’t want to out-price your target customers and chase them away to competitors. Subscription models are incredibly common today, in a huge range of markets. Netflix, for example, allows members to enjoy unlimited access to a variety of films and series for a fixed monthly cost. Amazon offers a more flexible payment model, with customers free to pay an annual fee for access to various media, or they can choose to pay a one-time rental or purchase fee on videos. Think about your customer-base, and what their spending habits tell you. Are they more likely to appreciate the sense of exclusivity a pricier one-off fee will bring, or would they prefer the freedom of pay-per-view or rentals? Videos should be the foundation of your service, but you should offer customers more for their money. Businesses have a huge range of freedom when building a video distribution site, as they can expand on their material with diverse media. For example, Zumba Front Row is the official fan-club for the global Zumba movement. It has thousands of members, who get exclusive access to recorded and live Zumba sessions and VIP events. However, beyond video, they also have access to resources on nutrition, discounts on clothing and the popular Zumba Cruise, as well as brand-new Zumba tracks. Sites like YouTube, which focus primarily on videos, do not allow channels the same freedom to upload supplementary materials. PDFs, podcasts, eBooks, and more all add extra value to your package, offering customers who want to go deeper into your services the power to do so. Any business, in any sector, can use online video to engage with existing and prospective customers. However, why should people be expected to pay for the same information they can find for free elsewhere? With so many free videos distributed online, you have to provide an in-depth, expert quality – whatever your business. Let’s take another look at Zumba Front Row, to illustrate how fitness companies can make money selling videos online. While there are countless free dance tutorials available, Zumba Front Row is the real deal: it’s 100 percent official, with classes taught by experienced professionals (and, in some cases, the man who launched the Zumba movement himself). This is information coming direct from experts, from people who live and breathe Zumba. You have to offer the same quality to your prospects. Let’s say you want to sell videos based around home improvement, to support your chain of hardware stores. Simply providing brief, vague videos on putting up drywall or mending broken fences isn’t enough. You need to give expert demonstrations from multiple camera angles, with clear, crisp narration and slick editing. You need to make viewers feel as if they have personal access to the undisputed masters of the craft. As with many aspects of business, you must put yourself in your customers’ shoes. What would make you want to pay to watch videos in an area that interested you? What would make one channel appeal more over another? You also have to make sure your users enjoy unrestricted access to the videos they pay for, too. Whether they’re using a laptop, a smartphone, or a tablet, your media should stream without interruption, without delay. Today’s consumers want convenience and flexibility. They want cross-device synchronicity. They want to access their media how they want, when they want, and where they want. It’s as simple as that. Selling videos online may sound complicated, but if you invest enough time and effort, you can maximize your visibility, build a stronger bond with customers, and reinforce the value of your brand in a crowded marketplace. PJ Taei is the founder of Uscreen, a leading video on demand platform perfect for monetizing any content type. Uscreen is one of today’s top platforms used to distribute any form of content to a global audience. Four federal judges have blocked implementation of at least parts of the Executive Order. Even so, it appears the Administration will continue to enforce the Executive Order. This is not a political but a business blog, so I will not focus on the issue of refugees, but focus solely on what the Executive Order means for employers relative to employees who have green cards or other foreign nationals who are lawfully working for them. 1. You can’t be certain employees who travel will be allowed to return. Employers should not require (or even permit) employees with green cards or other visas from the seven designated countries to engage in business travel outside of the United States. If an employer requires or permits work-related travel outside of the United States as part of their jobs, at least two bad things may happen. First, on a strictly business level, these employees may not be allowed to return to provide service to their employers. On a more personal level, these employees may be separated from their families and other loved ones. Caring for employees must go beyond work. 2. Educate affected employees about the risk of personal travel. Employers cannot prohibit personal travel and you wouldn’t want to anyway. Indeed, a foreign national from one of the seven nations may have the legal right under the Family and Medical Leave Act to return to Iran to care for a parent with a serious health condition. However, employers should consider talking about the risk of traveling outside the United States for those who hail from the seven countries covered by the Executive Order. But employers need to be careful how this is done. Even if well intended, a “rounding up” of employees from these seven countries to discuss the issue can lead only to greater anxiety and more. Plus, employees not from the seven countries may care about the issue, too. Consider a communication to all employees. Analogy: if there is a new child care benefit, you would not announce it only to those known to have children. 3. Do you take a positon? We often have heard it said there are two topics we should try to avoid: politics and religion. Well, they are now the elephants in the corporate living room, and I am not sure employers can or should entirely avoid them. A number of large technology employers have condemned the Executive Order. What should you do? Regardless of your politics or presidential vote, this Executive Order may negatively affect you as an employer. It already has increased anxiety among foreign nationals from the seven-targeted majority-Muslim countries. At a very minimum, leaders are well advised to make clear that they will do what they reasonably can to protect their employees. An example of this may be, not putting employees at risk by sending them out of the country until this issue is resolved. Do not expect a quick resolution. Some employers may want to go further and express their personal views. In doing so, employers are best to focus on the Executive Order and not the President who signed. it. Said otherwise, focus on the business issue. Some may conclude silence on the “political” issue is best. Fair enough. But sometimes the sounds of silence echo the loudest. Jonathan A. Segal is a partner in the employment practice group of Duane Morris LLP in Philadelphia and principal at the Duane Morris Institute, an educational organization. These eCommerce statistics for small businesses have been collected from a variety of sources. 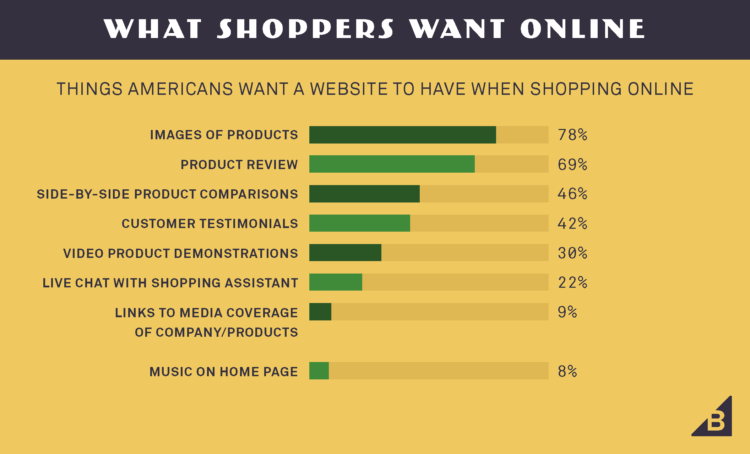 51 percent of Americans prefer to shop online. 95 percent of Americans shop online at least yearly. 80 percent of Americans shop online at least monthly. 30 percent of Americans shop online at least weekly. 5 percent of Americans shop online daily. 48 percent of online shoppers have bought or spent more than planned when shopping online. Between 2014 and 2015, social media referrals to eCommerce sites increased 198 percent. Almost a quarter of online shoppers (23 percent) are influenced by social media recommendations. Using product videos on eCommerce sites can increase product purchases by 144 percent. At least 30 percent of all products ordered online are returned as compared to 8.89 percent in brick-and-mortar stores. 20 percent of consumers returned items because they received damaged products. 22 percent said they received different products from what they ordered 23 percent said they received wrong item altogether. 35 percent of shoppers return products because of other reasons. 60 percent of shoppers actually read your return policy before completing a sale, and that the return policy ultimately influences 80 percent of the sale. 55.2 percent of consumers disliked online shopping due to products being “difficult to return” or the associated restocking fees and or return shipping fees. 28 percent of online shoppers will abandon their cart if the shipping costs are too high. 74 percent of small business websites have no eCommerce. An estimated 66 percent of online consumers abandon their transactions due to problems during the payment process. 30 percent of mobile shoppers abandon a transaction if the experience is not optimized for mobile. 20 percent of American online shoppers have purchased from the bathroom. 10 percent of Americans shop online when they’re under the influence of alcohol. As the statistics above show, eCommerce is a thriving industry. Small businesses that are not participating stand to lose out on both sales and relevancy as the number of online shoppers continues to grow. While it’s important to take customer wants and needs into consideration, the payoff exceeds the cost. DuckDuckGo is a popular search engine known for protecting the privacy of its users. Of course you know about Google, Yahoo, Bing and AOL, but have you heard of the DuckDuckGo search engine? Well, it’s an internet search engine that emphasizes protecting searchers’ privacy and avoiding the “filter bubble” of personalized search results. The “filter bubble” is a term coined by internet activist Eli Pariser to refer to the selective information that search engines present to users based on variances such as location, past click behavior and search history. That means that different results are shown to different people. Not everyone who searches for a particular topic sees the same results. While this might be beneficial at certain times, the filter bubble also can isolate and deter you from seeing the entire picture. DuckDuckGo doesn’t have a filter bubble. And the ability to switch which local region you’re searching in gives you more options and ultimately, a truer search. While its main draw is lack of a filter bubble, DuckDuckGo has another killer feature you may not have heard of – !bangs. By simply appending “!g” or “!google” in the search box you will be taken immediately to the Google search engine. If you type !stackoverflow, !wikipedia or a large number of other similarly well-known web destinations, the DuckDuckGo will bring up these respective websites too. This is pretty clever stuff! The search engine also doesn’t follow you around with ads. The downside with this search engine, however, is that it’s not as intuitive as Google when it comes to news. The search engine doesn’t seem to have a section that’s specifically dedicated to News. Overall, DuckDuckGo is definitely one of the more private search engines around. Its clean design, lack of filter bubble and ibangs makes it a useful research tool if — you need to get out of your bubble and explore some new things on the web.. When looking for ways to exceed customer expectations in your restaurant, the simple things are often overlooked. Going above and beyond your competition often starts with securing the foundations of your restaurant first, and then innovating in creative ways. Before you can be great you have to be good and a good restaurant needs friendly staff. Staff should smile and engage in small talk when appropriate, always attentive to the customer’s energy. If your customers are in a hurry and the line is long, chatting is obviously not as appropriate. But a friendly smile and courteous welcome is always well received. Teach your employees to be in tune to your customers. For instance, people of an older generation might be used to a slower, more friendly style of service. However, younger people might have kids at school, might be on a break from work or otherwise just be in a hurry and they need to move quickly through your store. Teach your employees to pay attention to the needs of their customers and always wait until the customer is finished speaking to ensure that they feel respected. Another nice thing employees can do, when possible, is refrain from putting callers on hold in general, especially if they’re angry. Your staff should always remain calm and know to keep their cool. The little bit of extra time you spend with an employee to train them on how to handle situations, the more it will pay off for your and your business in the end. Another policy employees should be trained on is to always repeat customer requests back to them to ensure accuracy to let them know that you’re listening. This makes the customer feel at ease and also will do more to improve waste at your business as less mistakes will be made overall. Customers will be far more likely to offer constructive feedback if the lines of communication are open and the response time is fast. Customer inquiries should be responded to promptly, especially if they are submitted online because people are likely to lose interest after a time and not wait for a reply. Don’t be afraid of seeking customer feedback. It may seem a bit scary at first but online surveys, in-restaurant guest cards or quick polls on social media can really help you to see what you are doing right and wrong – quickly. Remember – the information is only as valuable as what you do with it. Just don’t make it a chore. Bureaucracy is not a fun part of any dining experience. Customers don’t want to feel like they’re working for you so make their visit in worthwhile for them. Treat them with kindness and show them you are glad they chose your restaurant. Remember, freebies and competitions are always a winner too. Be responsive to customer ideas and their feedback as you will find it a very valuable source of information. Thank customers for their suggestions on Facebook or yelp, and throw in a little shout out for fun: “new, thanks to the legendary jonny24!”. Give customers options: the freedom to choose so as to optimize their experience in accord with their preferences. Forcing people to pay separate bills for drinks purchased at the bar, or refusing to allow them to pay at the table, receive receipts by text or split checks by table is tedious. Guests won’t feel confident trying new menu items or mixing and matching them without knowing what they taste like, so it’s best to allow them to sample wine and beer. Online reservations and ordering (delivery and pickup) are essential, especially to attract new customers who may just be ordering food in an unknown area with their friends, for example. Small touches, such as free things on birthdays, and general gratitude and personal attention make each guest’s experience uniquely memorable. The more variety that is regularly introduced to the menu, the more frequently guests are encouraged to visit. Spicing up your menu should be done at least seasonally or quarterly. Major changes may take longer, but small additions (e.g. a new milkshake flavor) or changes (e.g. cycling dozens of flavors) should be incorporated into your inventory orders. This having been said, it is essential not to rush new offerings. Take your time, order the right ingredients and have a worker taste a new item before releasing it. Resist the urge to cut corners or compromise on quality in any way, whether with cheaper ingredients or rushed food. Keep the storefront presentation at a high quality and maintain the best look for your workers, sourcing neat uniforms by Cherokee Uniforms or another well-established outlet. Never be afraid to check out your successful competitors too. See what they are doing and be on the lookout for ways to improve. Never forget to keep asking yourself the question: what do I want from a dining, takeaway or other food experience? Or better: what would make me comfortable and confident in inviting my friends or family to enjoy a new place I’ve discovered? Does your restaurant work for everyone? How might a new couple, a group of sports fans, a couple of business people, or someone from another country experience your place? When you can’t confidently answer one of these questions, you’ll know it’s time to consider a change. Lily Martin is at business school and enjoys sharing her new-found knowledge and ideas with an online audience, especially if it will help spark an idea and improve business for a small independent business owner. Do you want to say a lot of good things about your business without uttering a word? Consider upgrading your team uniforms. No, we’re not talking about your company softball team. Clean, crisp uniforms worn by your staff can convey a positive message to everyone who enters your office, clinic or practice. Should your staff wear uniforms? Bob Dobalina is a marketing director at a successful uniform distribution company in the heartland. When asked if uniforms increase client satisfaction and boost trust, he referred to a recent JD Power study that resulted in the conclusion that customers, clients and patients are more apt to frequent establishments where employees wear uniforms. Clean uniforms appear professional and convey a message of competence and knowledge. For this reason, any outfit that wishes to boost their credibility and client confidence ought to consider purchasing professional uniforms from Dickies Medical. Study after study shows that uniforms offer positive benefits such as boosted business image, improved workplace security and an improved sense of team spirit and company pride. But that’s certainly not all. Clean, attractive uniforms provide functional benefits, too. Flame resistant uniforms serve to prevent employee injury due to electrical arcs and sudden fire. High visibility uniforms increase roadside safety for first responders and other teams that work outdoors. Food and healthcare workers in uniforms reduce their risk of cross-contamination threats. Uniforms are an essential component of clinics, practices and places that serve food. If you manage a business that makes any sort of house calls, uniforms are at least as important. When a customer opens their door, they want to see a smiling employee wearing a clearly identifiable uniform. Makes sense, right? Imagine for a moment that you’re driving down the road, bored and sitting in traffic and scanning the scenery on either side of the street. A billboard begins to come into view, and before you know it, it’s behind you. Still, you remember the message and you make a mental note. According to Scenic America, there may be close to 800,000 billboards alongside roadways today. In fact, billboard advertising is one of the most effective ways to display an important message to commuters and travelers each and every day. The earliest American billboard advertising consisted of colorful circus posters that first became popular in the 1830s. Designed and painted by New York artist Jared Bell, those nascent billboards measured more than 50 square feet. Before that time, public outdoor advertising generally comprised small signs attached to fences and buildings. Your business may have such signage today but you can increase customer confidence and build a better reputation when your staff dons crisp, clean uniforms. The Outdoor Advertising Association of America explains that billboards have been around a whole lot longer than that. In fact, the OAAA says the first ‘billboard’ signs were constructed in ancient Egypt where towering stone obelisks touted the latest treaties and gave people a look at local laws. Experts explain that a great billboard offers a quick message in six words or less. Drivers have but a second or two to read a billboard, so the shorter the message, the sweeter. A great billboard doesn’t ask for a direct response. This is to say that an effective billboard doesn’t require the viewer to remember a phone number or memorize a company address. The billboard makes a simple yet memorable statement and allows the passerby to continue on their way. People who study such things say that a great billboard is noticeable, but never a distraction. And the more billboards you boast, the better. Uniforms are like that, too. If your entire staff wears coordinating uniforms that are clean and handsome, chances are your clients, customers and patients will leave your premises with a sense of confidence and a plan to return. One more word about uniforms– employees are typically happy when they don’t have to worry about buying and maintaining a costly work wardrobe. When a worker has a clean uniform every day of the week, performance may improve. Jade Whittaker runs her own beauty business. She has seen how looking after her team of employees, in turn, helps her to grow her business. She shares some of her business tips online for others to learn from, especially if they are just starting out. You’ve just opened a new private medical practice and you’re looking forward to meeting all your new patients. Of course, you want to make sure that you will see these patients again, so it’s very important to create a warm and welcoming atmosphere. Look professional: One of the first things that new patients will notice is the way your staff are dressed. For a clean and professional look, you should choose high-quality scrubs for all your healthcare staff. This makes patients feel confident because they can easily recognize members of staff in their professional capacity. Not all scrubs are made equal. It’s worth paying a little extra for scrubs that are comfortable and resilient. Whatever color combination or motif you are looking for you can find it from Careisma Scrubs. Waiting room only: Your waiting room is just that, so make it as comfortable as possible for your patients. Paint the walls in subtle, soothing shades and use lighting that doesn’t glare. Make sure the temperature is ambient without being uncomfortably warm. Provide ergonomic seating such as chair wedges, specially shaped cushions or ball chairs. This will greatly help patients who have difficulty sitting in static positions. Mount a television on which you can show cable network or informative health videos if you choose. Tailor your services: Offer medical services that cater to your target patient. For example, if your practice is focused on helping patients regain and maintain a healthy weight, you could host a weekly weight-loss support group. You could also offer monthly information meetings hosted by other healthcare professionals such as a nutritionist, fitness expert or yoga instructor talk about the services they provide. Promote patient engagement: The idea of patient engagement stems from the realization that patients themselves are important stakeholders in their health care and can provide valuable input for helping improve the quality of health care practices. This means encouraging them to make choices about their health care and keeping them informed of the latest treatment options. Make the most of technology: This will make scheduling appointments much easier. There are many HIPPA compliant software programs out there, which provide platforms for electronic medical records. They also have email encryption services, enabling you to answer patient queries by email as and when needed. You can also keep patients informed through social media. Remain flexible: Aspects within the field of healthcare are constantly changing. New technologies are emerging at a rapid pace. Be prepared for changes in health insurance and reimbursement rates. Keep abreast of current and projected trends. A practice that can evolve with the times will be a popular and successful practice. Bring in the cleaners: Take a good look at your waiting room and examination rooms. Are they really clean? Often the cleaning is included in the price, which also means you may only get the bare minimum. Hiring your own cleaning team might be a better option, so you can rest assured that the job is being done properly. Be personable and polite: You should also be aware of how your members of staff interact with patients, and make sure they are being courteous at all time. Take some time to listen to how they answer patients’ questions. Do they listen carefully when a patient is speaking? Does the receptionist answer the phone in an appropriate manner? The behavior of your staff will significantly affect patient retention, so make sure it does so in a positive way. Avoid clutter: Make sure counters in the exam rooms are tidy. Use containers to organize items that you need to have close to hand. Keep the waiting room tidy; keep magazines in a central location. Try to avoid taping paper signs on the walls of your practice. Patients gradually stop reading them if there are too many. If you do need to present some information, think about an electronic photo frame with a slideshow of messages. Promote your practice: Make sure that the entrance to your practice is clearly marked so that new patients know that they’re in the right place. Put a welcome sign in the entrance so that patients are engaging with your marketing practices as soon as they walk through the door. Train your front desk staff to greet patients as they enter. Setting up a new practice can initially be daunting, but don’t be put off. Visit other medical practices in your area and get a feel for how they are run. This will give you ideas of what to do and what not to do. Daisy Bailey is a practitioner manager. Always seeking to be the best and create the best for patients and staff, Daisy shares her thoughts and tips on what must be done from decor to professionalism. Getting a mortgage these days is difficult enough, but for the self-employed it can seem impossible to get on the property ladder. Lenders are reluctant to offer any form of credit to individuals who work for themselves due to the financial uncertainty which typically comes with it. However, did you know that there are some companies out there who specialise in self-employed mortgages? So, if you are worrying about being turned down, it’s important you know there are lenders out there who can help. Here’s a look at everything you need to know about getting a great, self-employed mortgage. In the past, the self-employed had one main option when it came to getting a mortgage and that was the self-certified variety. However, after lenders started to really use them, these mortgages eventually were scrapped. So, what options are available to you now? The good news is self-employed people these days have access to much the same mortgages as anyone else. It’s what you need in order to be accepted which differs from standard mortgages. All lenders are different, but the average lender offering self-employed mortgages will usually want to see a minimum of two years’ accounts. This is basically to prove your income and show you’ll be able to make the repayments on the mortgage. However, don’t despair if you don’t have two years’ worth of accounts to show. Some lenders, such as Saffron Building, accept just one year’s accounts, though they will require a few other things to prove you can afford the mortgage you’re applying for. You’ll also potentially need to prove how much you’re expecting to earn over the next year. Of course, it also helps to have a great credit rating and a nice amount of cash on deposit. While each lender is different, there are a few general tips you can follow to improve your chances of getting accepted for a self-employed mortgage. First, if you have an accountant, part of their job is to try and save you a bit of money in taxes. Depending on what they do, this will make it more difficult for your potential lender to see your true income. Be sure you are at the ready to point out your operations, cash flow, actual expenses and so on so the lender can understand exactly how you are going to pay them back. After all, that is really what they care about. Ideally, you’re also going to want to be able to show that both your income and profits are increasing – and that your business is poised to grow at a healthy rate in the future. Make sure you have your tax returns, bank statements and operating reports ready to go to show the lender as he will be asking for them. Overall, while it can be more difficult for self-employed individuals to get mortgages, these days there are numerous options available. Choosing a lender which specialises in self-employed mortgages is a good first step and being ready to support your case is the second. Doing this should improve your chances of being accepted dramatically. Many people today require a serious infusion of cash to jump-start their business dreams. Cash infusions come in many forms, with business loans representing the most common source of financing for a start-up company. Most traditional lenders, such as commercial banks, make 700 the minimum credit score for small businesses to receive consideration for loan approvals. What happens when your credit score falls below 700 and lenders are the only option for growing your small business? The method for fixing your credit for business loans follows most of the time-tested measures you would take to fix your personal credit. Unlike established, large corporations that have strong credit ratings, lenders judge small business owners on the merits of personal credit ratings. Several factors come into play for small business owners that want to receive cash by receiving business loans. Both your personal and any existing business credit scores you have will rank at the top of the list for factors that determine your business credit worthiness now or in the future. You can expect a judgment on your credit report to drive down your credit score. If you already have a business, the longer your business has operated profitably, the more likely a bank is to extend you business credit. Most lenders like to finance loans for businesses that have operated for at least 2 years. Annual will also revenue play an important role in determining business loan approval, as does small business cash flow. A lender is more likely to approve a small business loan if a business demonstrates a healthy cash flow. Finally, most lenders require some type of collateral, whether it’s a chunk of real estate or another type of hard asset. Since improving your credit score is the most important factor in obtaining a business loan, let’s review the ways you can push the credit score needle higher. Large amounts of debt damage the chances of consumers receiving personal loans. However, debt is the deal breaker for businesses in search of loans. Lenders like to throw around fancy words like liquidity, but all you need to know is lenders never lend money to businesses saddled with debt. How can you expect a lender to finance your business, when bank loan officers see most, if not all of your revenue goes towards paying off debt? Reduce your business debt and watch your loan approval chances increase. This also means stop applying for new credit lines. The three major credit reporting bureaus-Equifax, Experian, and TransUnion sometimes make reporting errors that negatively impact consumer credit scores. Review your monthly credit reports to ensure all of the information is correct. Contest any account reported that you never opened. More important, challenge a judgment on your credit report that goes back more than 10 years. According to credit reporting law, even a bankruptcy shouldn’t appear on your credit report if it happened more than 10 years ago. Minor credit blemishes should disappear on your credit report after seven years. Signing up for a secured credit card helps you move back up the credit score chart. Secured credit cards require deposits that lenders use as collateral to protect against defaults. You typically can only charge a maximum that equals your credit card deposit. After making consistent payments over the course of several months, most lenders increase your credit line, without asking for more deposit money. Eventually, your consistent payment record reflects in a higher credit score. You must resolve any credit disputes you have with credit card companies and other lending sources. Once a credit dispute moves to collections, credit reporting bureaus immediately slash your credit score. Lawsuits and credit judgments represent major blemishes that prevent you from securing a business loan. Do everything you can to prevent collections from ever happening in the first place. Most business owners rely on loans either to start up an enterprise or expand operations. The fact that debt finances most small businesses means you need to take steps to fix your credit to obtain approval for a business loan. Remember too that little things that you might not think about, like such as closing a credit card account, can damage your credit score. In this Dynamic Communication interview, author Jill Schiefelbein chats with Jay Baer, president of Convince and Convert and New York Times bestselling author, who gives a tip that can help you GROW your business. Perfect for entrepreneurs, small businesses, sales teams, marketing teams, content creators and more. Why should you give away free information as a business content marketing strategy? What marketing strategies work to grow a business? How do I use content marketing to increase sales? Learn the answer to these questions and more in this video with entrepreneur, business owner and all-around-rockstar Jay Baer. Want to see the full interview with Jay Baer? Learn more below. In this 27-video series, the author of Dynamic Communication: Strategies to Grow, Lead, & Manage Your Business, Jill Schiefelbein interviews stand-out companies and entrepreneurs to bring you great bites of information to help improve your communication and drive results. You can access 12+ hours of content — the full interviews for each of these 27 brilliant minds — by purchasing Dynamic Communication: Strategies to Grow, Lead, & Manage Your Business and accessing the book’s bonus site.